Sage Herb | Tasty, Healthy and Pretty With 750 Varieties to Choose From! The Tasty Sage Herb - Over 750 Varieties Available With Many Uses! Dried and fresh, the sage herb (salvia) is a favourite in herb gardens and kitchens around the world! And with an estimated 750+ varieties and strains there are plenty to choose from. Meadow - Considered a Weed at One Time! 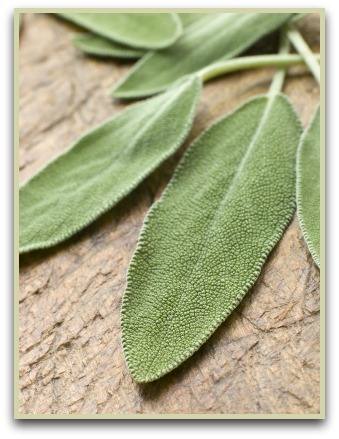 To ensure a fresh supply of the tastiest leaves, then growing sage in your garden or a container is an excellent idea. And with so many varieties, there are plenty to choose from! Some of the most popular ones are; common, purple, golden, kitchen, true and Mexican bush sage. The majority of these types are perennials, but there are also biennial and annual strains. The use of sage stretches back thousands of years, where it's been used for healing, medicinal, culinary and ceremonial purposes. The ancient Chinese used it in their traditional medicine, the Greeks used it to treat ulcers and snake bites, and the Romans, who probably introduced it to Europe, used it as a diuretic. In the Middle Ages it was used, probably unsuccessfully, to ward off the plague! But of course today it's the culinary uses we're interested in, and the potent chopped leaves are great for cooking. Basil - Cooking Tips and Uses of the King of Herbs!